In AI approaches to argumentation, different senses of argument are often conflated. We propose a three-level distinction between arguments, cases, and debates. This allows us to modularise issues into separate levels and identify systematic relations between levels. Arguments, comprised of rules, facts, and a claim, are the basic units; they instantiate argument schemes; they have no sub-arguments. Cases are sets of arguments supporting a claim. Debates are sets of arguments in an attack relation; they include cases for and against a particular claim. Critical questions, which are characteristic of the particular argument schemes, are used to determine the attack relation between arguments. In a debate, rankings on arguments or argument relations are given as components based on features of argument schemes. Our analysis clarifies the role and contribution of distinct approaches in the construction of rational debate. 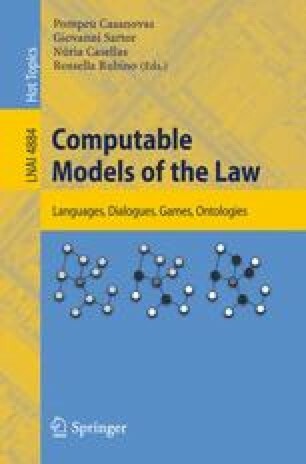 It identifies the source of properties used for evaluating the status of arguments in Argumentation Frameworks.